Albiflora.be - veitchii var woodwardii alba - Albiflora is a division of Crustacare, specialised in orchids. 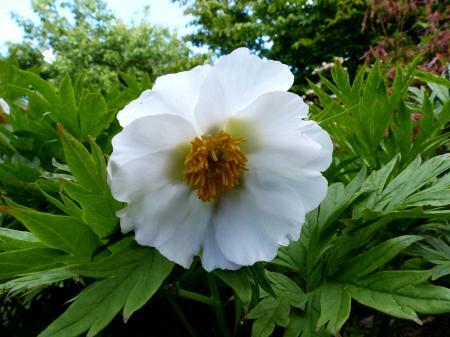 With its ferny foliage and white, nodding flowers an easy recognisable peony. In Belgium it is one of the latest flowering species, second part of May early June. 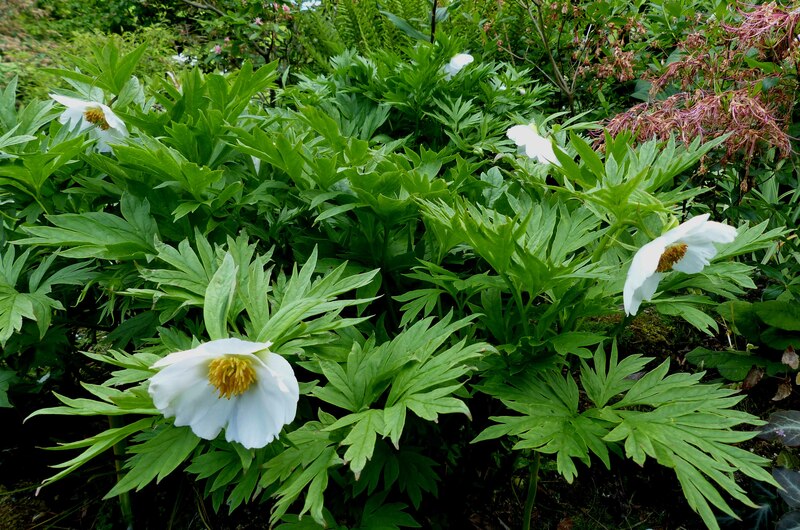 A superb garden plant for sun or partial shade, best on a loamy soil. Quite pricy because reproduction only by division as seeds give at least for over 95 % rose, red or magenta offspring. The plant on the picture is the plant you get.